So You Want to Sing Barbershop is a practical handbook for singers at all levels and teachers of singing who want to learn about the American art form of barbershop singing. Veteran barbershoppers Billy J. Biffle of the Barbershop Harmony Society and Diane M. Clark of Sweet Adelines International provide a guide for both singers and teachers of singing who have never experienced barbershop, as well as for experienced barbershoppers and singing teachers who want to increase their knowledge of the style. The book contains a brief history of barbershop, as well as a survey of the international organizational structure of the twenty-first century barbershop world. The authors offer a close look at barbershop ensembles, both quartets and choruses, and explore the unique culture in which these groups function. 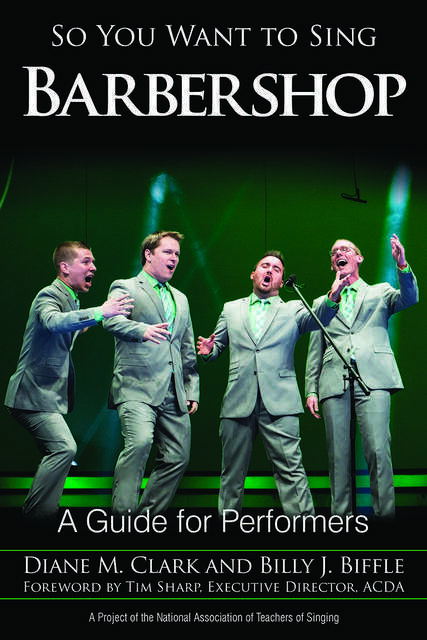 The book draws a detailed picture of the musical style that is barbershop and explains how the organizations continue to raise their performance standards through educational events and adjudicated competitions. Tips are given on developing appropriate vocal skills for singing in the barbershop style, and guest authors Scott McCoy and Wendy LeBorgne offer valuable information on vocal anatomy and vocal health.